Last updated: Apr 7th, 2012. 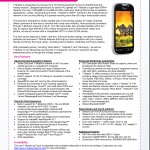 If you are looking for the T-Mobile myTouch by Huawei, click here. T-Mobile launched their line of MyTouch phones with the MyTouch 3G and now they're bringing a brand new phone to the market- interestingly enough called only the T-Mobile MyTouch - aimed at first time smartphone users. With a 3.8-inch screen, 5MP camera that records 720p video, front-facing camera for video chat, 1GHz processor, 4G connectivity, and other smartphone essentials like a MicroSD slot, 3.5mm headset jack, Bluetooth, GPS, and more. 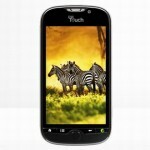 Being a MyTouch device, this phone also comes packed with T-Mobile's Genius Button which provide easy voice activated options and Skype for an alternative keyboard experience. While the specs aren't overwhelming, the T-Mobile MyTouch has all the basic functionality to provide a first-time smartphone user with a great Android experience. 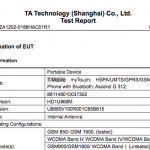 T-Mobile’s new Huawei-manufactured myTouch spotted at the FCC, coming this summer? 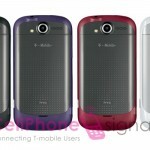 Could the new T-Mobile myTouch Get 4G Branding?